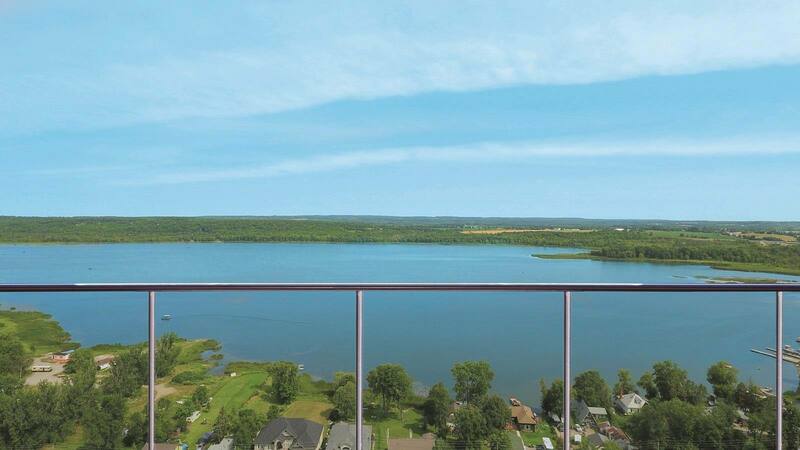 Temperatures are starting to cool off, but sales are heating up at Lakevu Condos in Barrie. The project by JD Development Group has reached the 50 percent sold mark, and its well-appointed model suite is available for tours. 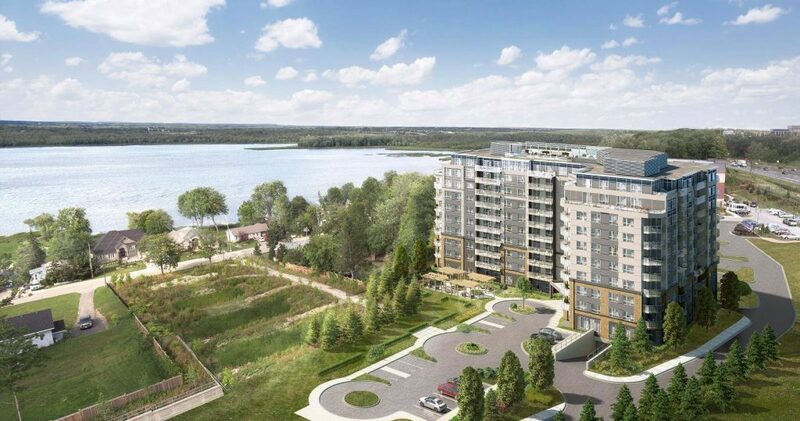 The 10-storey mid-rise building is the first of three towers slated for development on the shores of Little Lake. 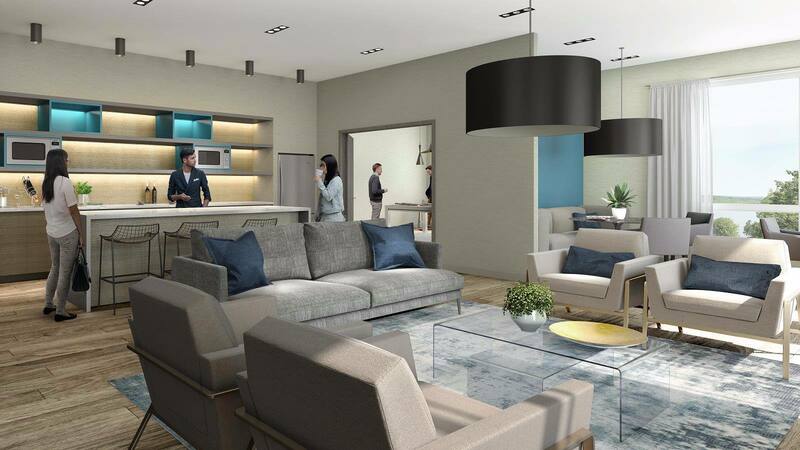 Featuring one bedroom, one bedroom plus den, two bedroom and two bedroom plus den suites, this modern and stylish residence offers carefree condo living and exceptional amenities. Priced from the $200,000s, each suite comes with its own spacious balcony, patio or terrace. Floorplans range from 538 to over 1,000 square feet, and interior finishes include smooth ceilings, laminate flooring throughout, stacked washer and dryer combos, and convenient USB power outlets. The chef-worthy kitchens feature custom-crafted cabinetry, solid surface countertops with a polished finish and straight edge detail, ceramic backsplashes, stainless steel undermount double sinks, high-arc kitchen faucets, track lighting, and full-size appliance packages. The main or master ensuite bathrooms boast modern vanities that offer ample storage, bathtubs with tile surrounds, shower enclosures or corner showers with frameless glass doors, and high-efficiency toilets. 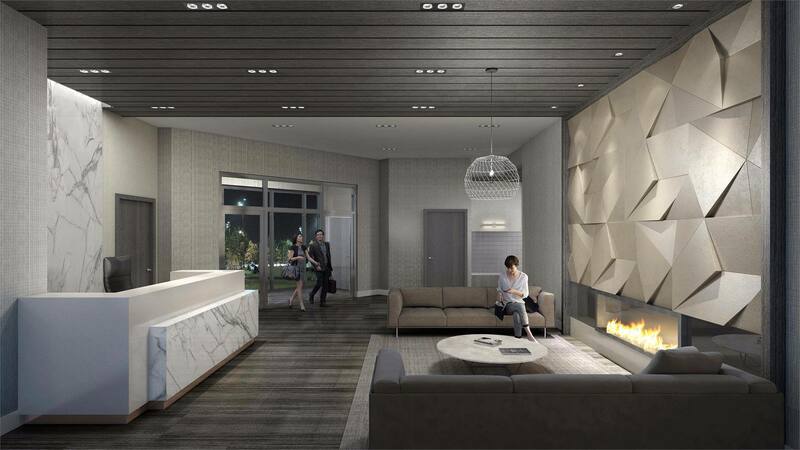 Lakevu features an array of social and recreational amenities, including a designer-decorated lobby with a gas fireplace and lounge area. The stylish party room boasts a servery/bar, conversation seating and billiards table, while the fully-equipped fitness centre offers cardio machines and weights. 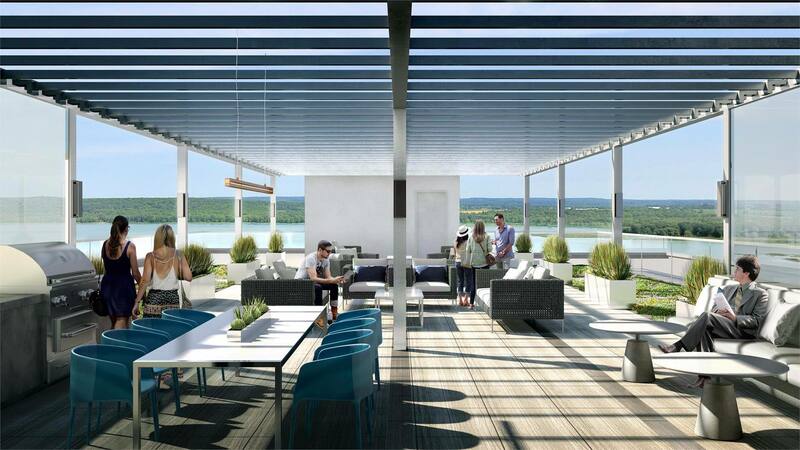 The rooftop lounge, where residents can enjoy sweeping views of Little Lake, is outfitted with barbecues, dining tables and comfortable seating. Ideally situated along Lakeside Terrace, Lakevu Condos is close to restaurants, health clubs, grocery stores, pharmacies, and a Cineplex Cinema. It’s just a two minute stroll to the waterfront and Little Lake Park, and the Little Lake Medical Building and brand new North Barrie Crossing Shopping Centre are also within walking distance. Georgian College is just a short drive away, as is downtown Barrie, where residents can shop, dine, and explore sandy beaches and year-round festivals. Access to Highway 400 is around the corner, and the GO Transit station is less than 15 minutes away. Be sure to register online or visit the sales office and model suite at 11 Lakeside Terrace in Barrie. Opening hours are Wednesday to Friday from noon to 6pm, and on weekends from 11am to 4pm. Appointments are also available outside of office hours. For more information, please visit lakevucondos.ca, call 705 812 5402, or email sales@lakevucondos.ca.